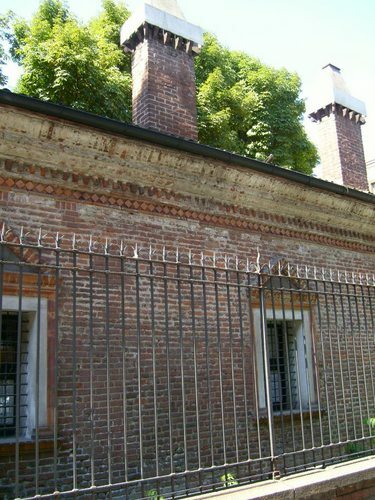 List of Countries » Italy » Milan and its Province » The "Lazzaretto"
For almost four centuries, from the late XVth to the end of XIXth, the "Lazzaretto" was a cornerstone of the health-care system of Milan as well as a very caracteristic piece in the city landscape. 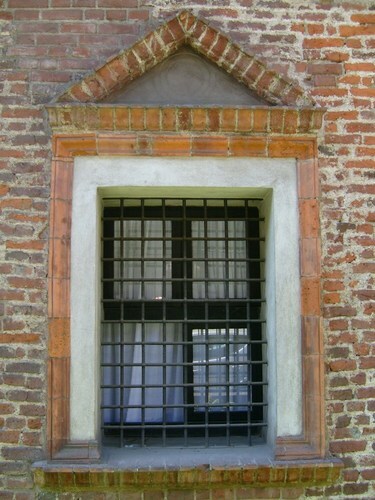 It had a quadrilateral shape and was surrounded by a splendid arcade, under which opened the little rooms for the sick. The "Lazzaretto" was destined to host and treat the plague sick, every time an epidemic of this terrible illness hit the town. 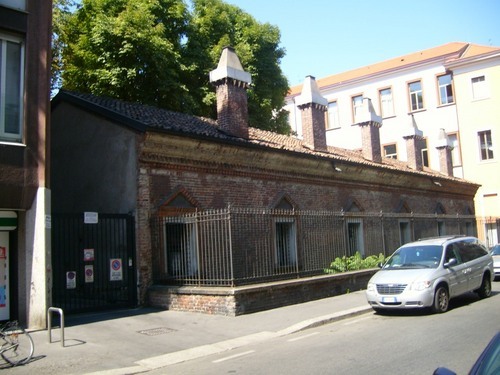 The fame of the Milan's "Lazzaretto" is also due to the moving description given of it by italian novelist an poet Alessandro Manzoni in his famous XIXth century novel The Betrothed. 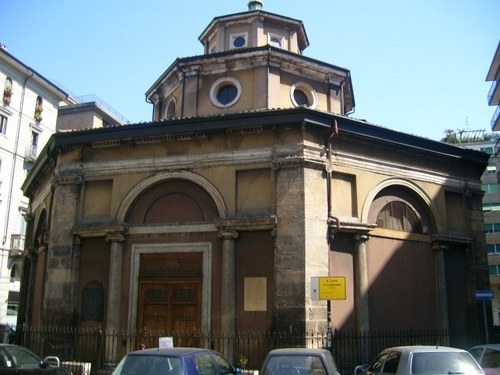 At the end of XIXth Century, when the "Lazzaretto" was destroyed for urbanistical reasons, only two pieces of it were saved: a little portion of the original building (5 rooms with their chimneys and their arcades) that can be seen at N.5 of Via San Gregorio, and the Church of "San Carlo al Lazzaretto" which was erected exactly in the center of the quadrilateral (today, Largo Fra' Paolo Bellintani). On the facade of the church a tablet remember the heroic Capuchin Friars Minor who, for centuries, dedicated themselves to the care of the plague sick in the "Lazzaretto". - V.Cavenago, Il Lazzaretto. Storia di un quartiere di Milano, NED, Milano 1989.